The Labor Department today announced that it had approved Trade Adjustment Assistance for the former employees of the bankrupt solar panel maker Solyndra. That means all of the firm’s 1,100 ex-employees are eligible for federal aid packages, including job retraining and income assistance. The department has valued packages at about $13,000 a head. 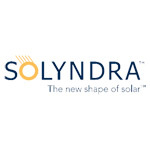 Taxpayers will have to cough up yet another $14.3 million as a result of Solyndra’s bankruptcy. They are already on the hook for $528 million in federal loan guarantees to the company that are unlikely to ever be paid back. The department’s decision also bodes well for a trade complaint made against China by a coalition of domestic solar panel makers. 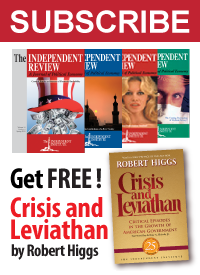 The request for the TAA was based on the claim that Solyndra failed because China was underselling U.S. manufacturers. By granting the assistance, the Labor Department has indicated it believes those charges have at least some merit. The announcement was made quietly today by the DOL’s Employment and Training Administration on its website. The decision was reached Friday. There was some confusion regarding the decision, which was posted on the DOL website accidentally this morning before the official announcement. A department spokesman told Capital Hill that a programming error was the cause. DOL briefly pulled the information, but has reposted it. The TAA request was first made on Sept. 2, just days after Solyndra went bankrupt. The Alameda County Workforce Investment Board, a public-private group that aids in job retraining programs, made the request on behalf of the employees. . . .